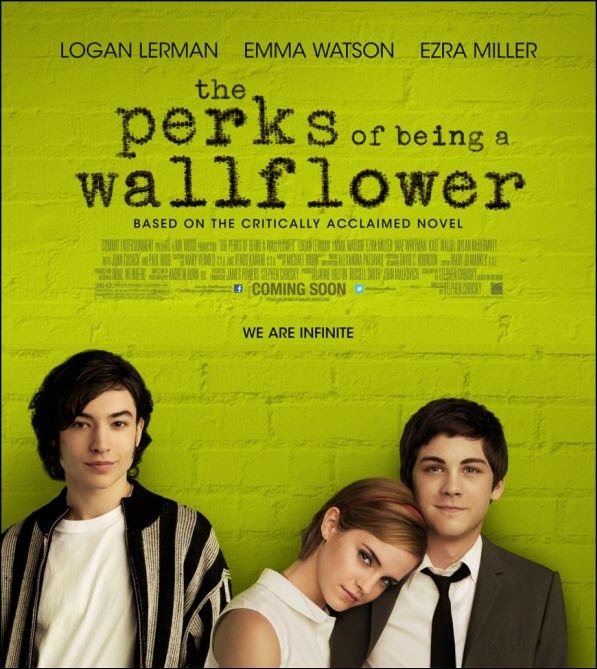 4 Movie Reviews:The perks of being a Wallflower,Upside Down,The Cabin in the Woods and Bachelorette. What did I do with my free time during the long weekend?Baked cookies,cooked a few dishes,unsubscribe from a few junk mails,spend time with my love and we watched a lot of movies.But there's still a lot of movies to watch.So here are my review of the movies that I've watched so far. 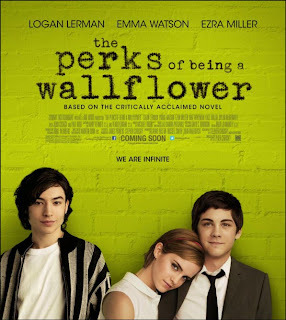 I love this movie.It has friendship,intrigue,sadness,happiness and many more.The whole cast did a great job.The music is good as well.I haven't read the book yet but I will soon if I have the time.The story is about this boy named Charlie who's an outcast in his high school. At the start of the movie he actually counted the days when he'll graduate from high school which goes to show how much he doesn't want to be there.But luckily he met Patrick and Sam who are step-siblings,seniors in his school whom he can gel with and from then on life in high school doesn't seem so bad. I love the character Patrick!Very vibrant and funny.I won't reveal anything more but there's more to Charlie than meets the eye.Things we never imagined could have happened to him.It was a great movie and IMDB gave it 8.2/10 which is a high rating! 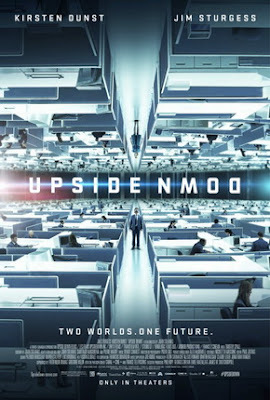 I saw the trailer of this movie a few weeks back with the boyfriend and I was intrigued about the concept of the story,whereby a world that has double gravity.To me the movie was enjoyable and had a good ending to it. All matter is pulled by the gravity of the world that it comes from, and not the other. An object's weight can be offset by matter from the opposite world..
After a few hours, matter in contact with inverse matter burns. Adam lives in Down while Eden lives in Up.Interesting that their name plays from Adam and Eve.Down is very bleak,not opulent nor is it city of bright lights like Up.Somehow Adam 'found' Eden when they were little kids and they would meet at this edge of this mountain... called Sage mountain if I'm not mistaken. I saw this movie being shown on our cinema months ago but the boyfriend and I never thought much about it nor did we want to watch it.But recently he downloaded it and he was like Chris Hemsworth is in it so maybe it could be good.I have to say it was SURPRISING.I thought it was gonna be another one of those horror story...it sorta was but with a twist. I like the idea of the story but it was also sick the way that there could be people,using others as their gruesome puppets.I won't say much about this movie as well other than watch it because although it's not as good as Perks of being a wallflower,it's quite interesting! 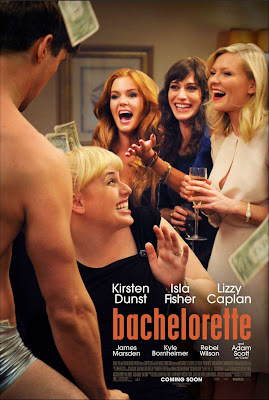 This movie had an amazing cast but the story itself just wasn't good.It's sad because to me Kirsten Dunst did a good job..especially her nose flaring/twitching expression at the start of the movie.And I love Rebel Wilson as well but her scenes wasn't much which equals to her not talking much either.The boyfriend didn't like the movie at all.And so does it! But it's amazing to see Lizzy Caplan coming a long way since her Mean Girls day.She's far slimmer and prettier now!I know this because the boyfriend and I was watching Mean Girls again(he likes it because SNL's alum,Tina Fey wrote the script) and we noticed Lindsay's "lesbian" friend was Lizzy from Bachelorette!